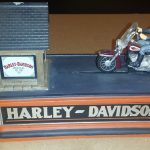 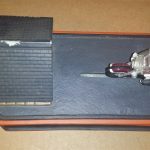 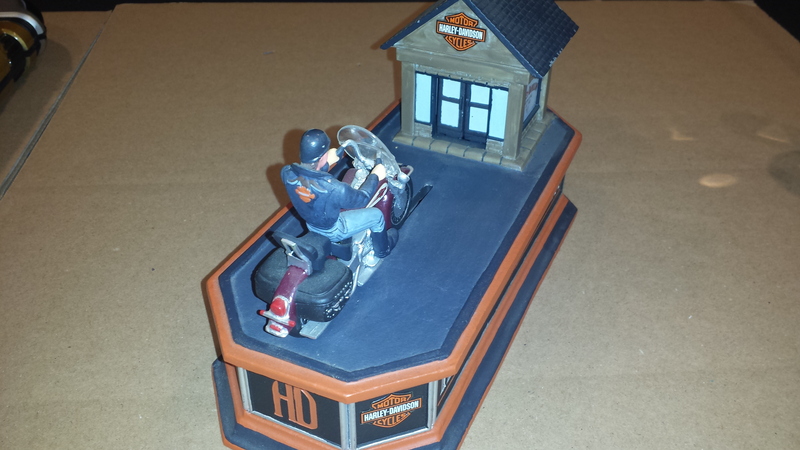 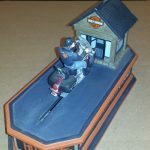 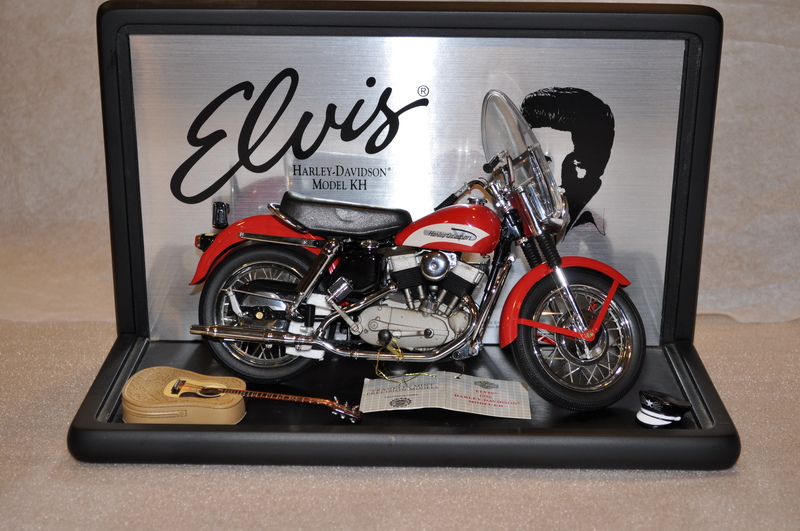 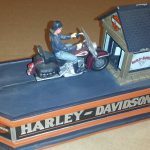 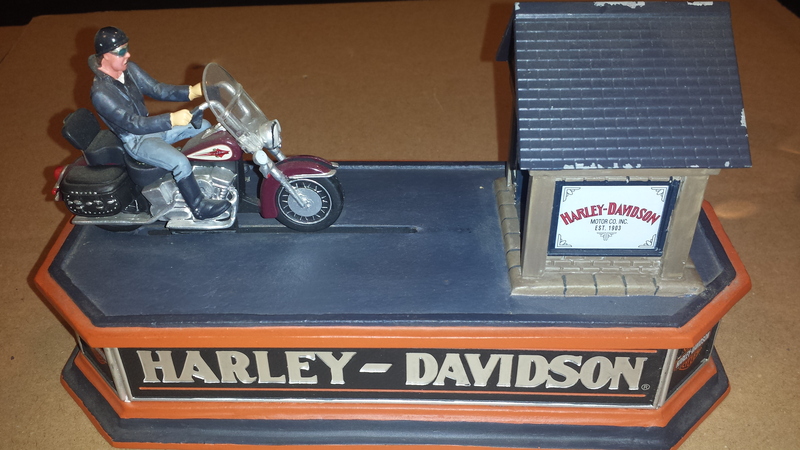 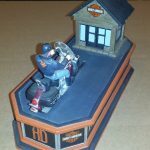 From the Franklin Mint Archives – Harley Davidson Softail Cast Iron Mechanical Bank – with Rider and Garage as pictured. 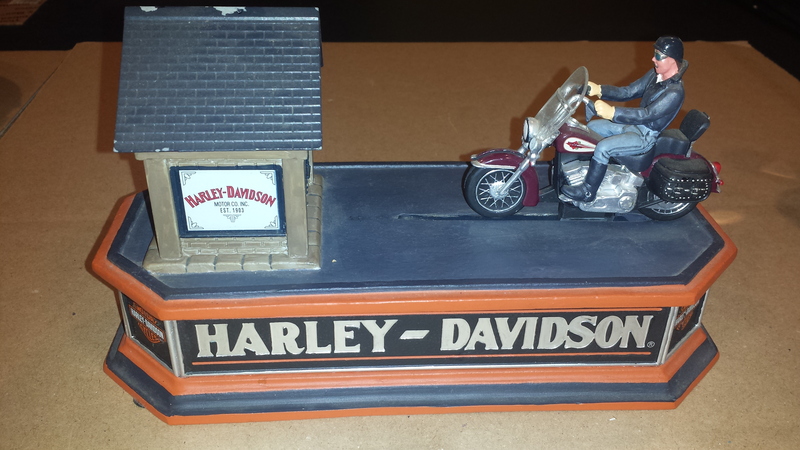 Mechanical bank works by pushing on rear left side Harley emblem. 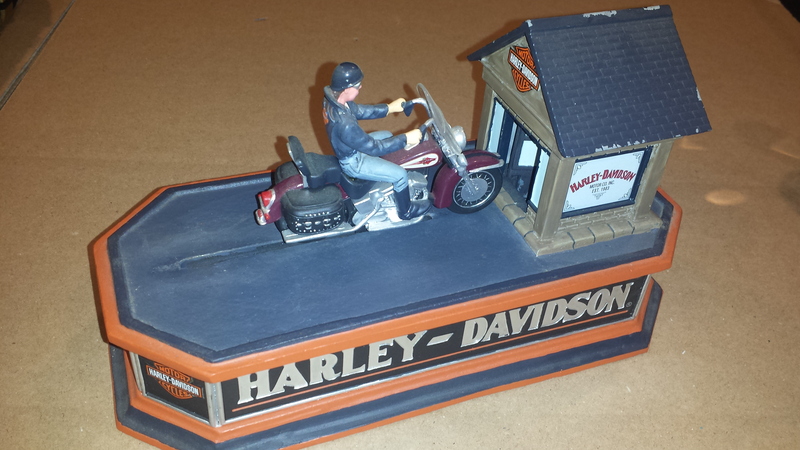 It moves the coin, placed in the front wheel of the motorcycle, into the “bank” as the doors open. 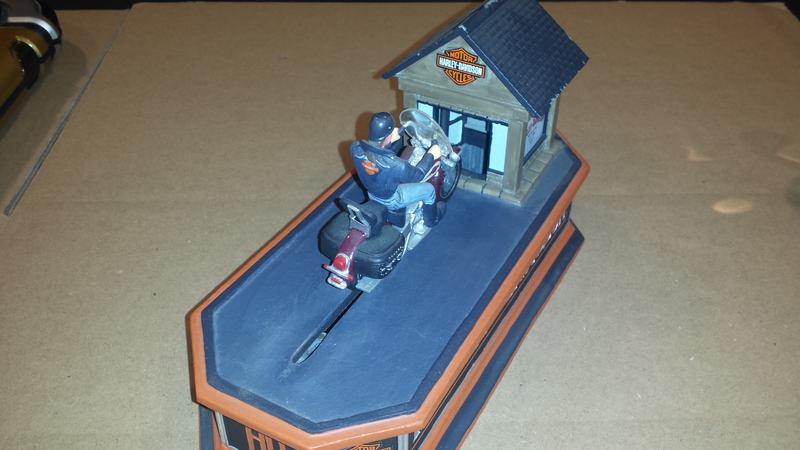 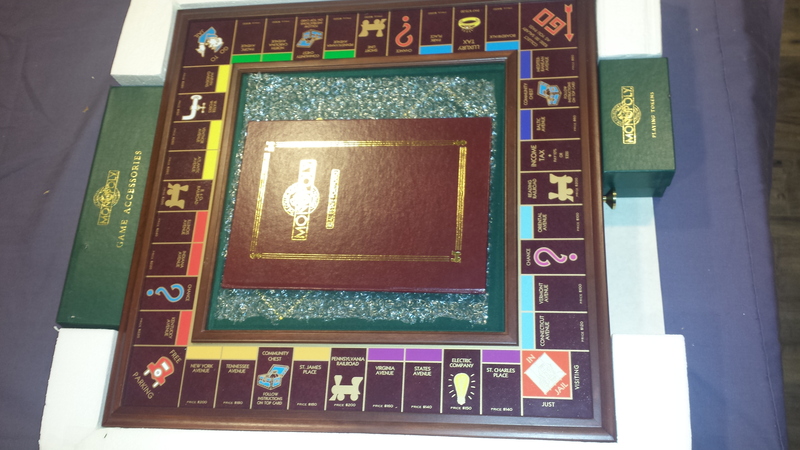 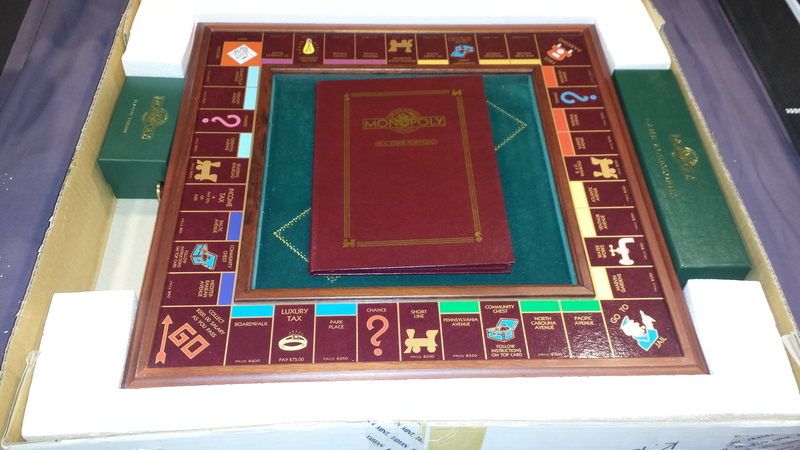 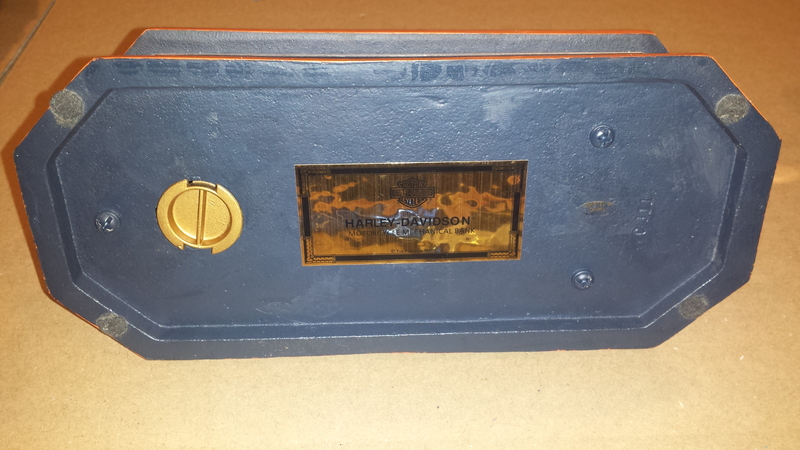 Money is removable from opening on bottom. 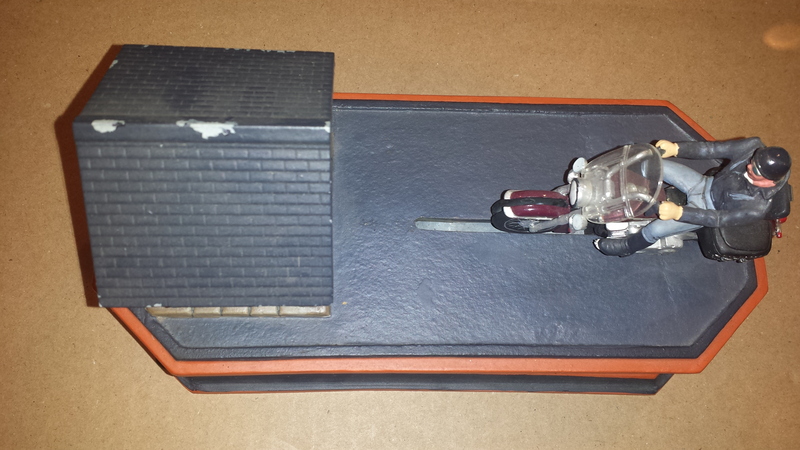 Cosmetic issues – some loss of paint – mainly to the roof of the garage. 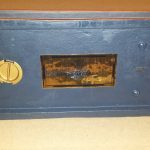 Light cleaning upon receiving is suggested.